Doing the biography of a living writer can’t be easy. Writers like to have control over things – especially over the contents of books. 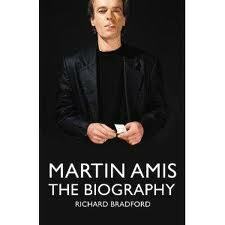 When Martin Amis “co-operated” with his new biographer, Richard Bradford, he didn’t do so unconditionally. He granted Bradford a series of interviews, and gave him the green light to approach certain other approved parties. But he stipulated that some people – including his mother and his ex-wife – would not be involved. Considering these restrictions, Bradford hasn’t done an entirely bad job. His book is lopsided, but it’s meaty. It contains a better class of information than it would have if he’d tried to proceed without Amis’s approval. It isn’t a first-rate biography by any means, but it has one crucial thing going for it. Martin Amis has lived a life you don’t want to stop reading about.